If you live in the Southeast, then you probably already love shopping at BI-LO. I’m a fan of the low prices and fresh produce, but they are making a few changes to help you save even more. In April, they will now be apart of the Plenti Points program! 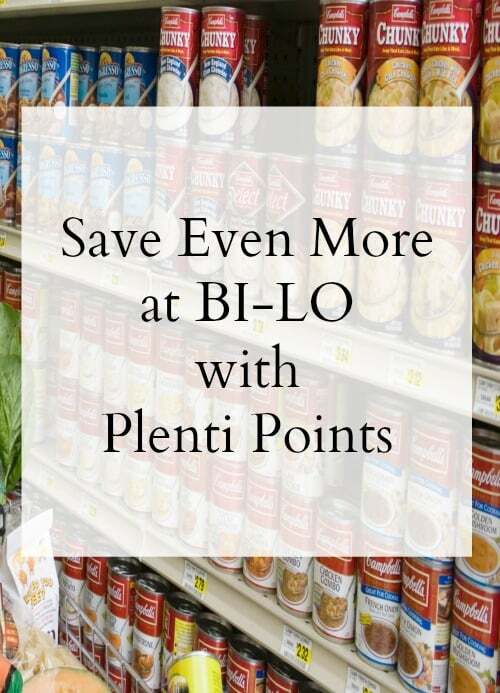 You will still get the great deals and low prices when you shop at BI-LO but now you will earn Plenti Points every time that you shop. You earn Plenti points when you shop at Plenti partners. How much you earn depends on the store but on average you earn one Plenti point for every dollar spent. 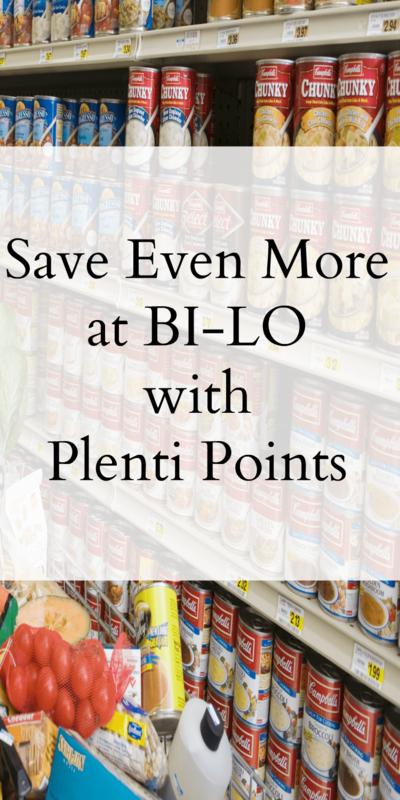 When you shop at BI-LO you will earn 1 Plenti point for every $2 spent. You can earn points quicker by activating special promotions to your Plenti card. You can start redeeming once you have 200 points. 1,000 points is equivalent to at least $10 in savings. You can earn and redeem points from Plenti partners like: American Express, AT&T, Exxon, Macy’s, Mobil, Nationwide, Rite Aid, Direct Energy, Enterprise Rent-A-Car, Hulu, Expedia and Chili’s Grill & Bar. So if you earn points shopping at BI-LO you can use them to pay for your Hulu subscription, pay for dinner at Chili’s, buy shoes at Macy’s, or put them toward your next BI-LO purchase. It’s up to you how to spend the points you earn. Why is This Better than Fuelperks? I know that a lot of people liked earning Fuelperks when they shopped at BI-LO. For people that were fans of the program, you can still use points to save on gas at Exxon and Mobil gas stations. I personally wasn’t a fan of the Fuelperks program because I didn’t see much savings. I don’t drive a gas guzzler so I would normally see at most, $2 savings every time I filled up my gas tank. It just wasn’t worth it for me. Knowing that I can now take my points and spend them anyway that I like: put them toward my phone bill, my Hulu subscription, or save them for a car rental when we go on vacation, makes it worth my effort. There is no limit to how many points you can save and spend at one time. The points don’t expire until 2 years from when you earn them so you have plenty of time to use them. If you have a Plenti card already from using it at the other partners, you are all set. You can link your old BI-LO card to your Plenti card online. 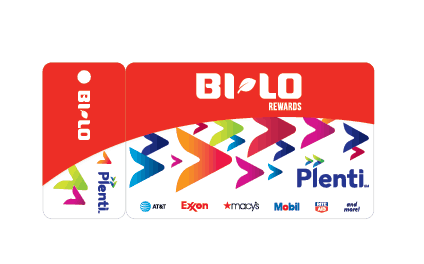 If you need to get a Plenti card, you can get one from a BI-LO cashier or by filling out the online form. Getting a Plenti card is completely free. If you register for a card online, it will take 7-10 business days for it to arrive by mail. The new Plenti program will take effect on April 5th. After that date you won’t be able to earn Fuelperks but you can still spend the ones that you have earned until they expire. You can read more information about BI-LO and the Plenti program here. What do you think of the Plenti program? Are you excited for the new change?